Congratulations to the following students for having their artwork chosen for display at the Art Show! Take a look at their amazing pieces in the link below! This Friday, March 29, will be “Student Council Friday”. 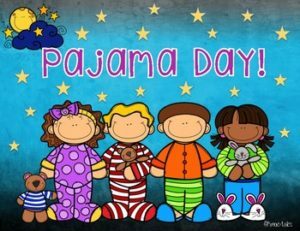 Students can donate $1.00 and wear their pajamas all day. Howard will host Shayma Mustafa, Author of I’m Amina an All American Girl tomorrow. Students will get to hear the story written by the author herself! Running Club is canceled for Monday due to BINGO for Books. Don’t forget to join us for the March PTA meeting! Come in and learn about all of the great things the PTA is working on for our students! Beginning tomorrow, Running Club will be held on Mondays and Wednesdays. Please remind your children that running club is meant to be a fun activity and good choices with adherence to our PBIS expectations are still expected. Thank you to the PTA and the parent volunteers who have made this healthy and fun activity possible for our students.